There are many guides on the internet that will promise to help you find the best phone under 25000. But they end up confusing you. Which is why we have taken upon this task to help you find the best phone one can purchase below Rs 25000 in India in 2018. We have tried to make this list precise and not include up to ten handsets, but instead, we are listing only five smartphones. Carefully knit picked after going through the industry mobile specifications and trends. What are the significant features on Moto X4? : Tough as they go, it comes with an IP68 certification, which means the device is water resistant. The compact powerhouse with 5.2-inch full HD resolution display and powered by an Octa-core Qualcomm processor. For multitasking, it packs 4GB RAM and 64GB for storage, which can be expanded via microSD card slot. Why does it belong to in the best phone under 25000 list? : The dual-rear camera setup is pretty impressive, plus, it offers a fast-charging battery. What are the significant features on OPPO F7? : Could OPPO be any obvious while copying the notch from iPhone X? Well, we might know it any time soon, as the companies tend to dodge the bullet of copyright infringement allegations. 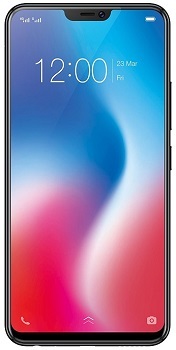 But really, one should embrace the notch, if not hate OPPO for copying Apple iPhone X’s unique aesthetic. Fitted with an Octa-core MediaTek processor, 4GB RAM, and 64GB storage, this device is running on the Android Oreo 8.1 OS based ColorOS 5.0. Why does it belong to in the best phone under 25000 list? : Enabled with AI selfie camera for best-in-class selfie experience. Plus the rear camera is also quite capable, all thanks to the AI scene support. What are the significant features in Vivo V9? : You expect nothing less from the sibling as you too are known for knocking off the Apple features. We are talking about the Vivo V9 smartphone, which is yet another premium phone with iPhone X like a distinctive notch. It is powered by the Qualcomm Octa-core processor and runs on Android 8.1 Oreo. On top of that, it packs a 19:9 aspect ratio display, which will offer an immersive experience. 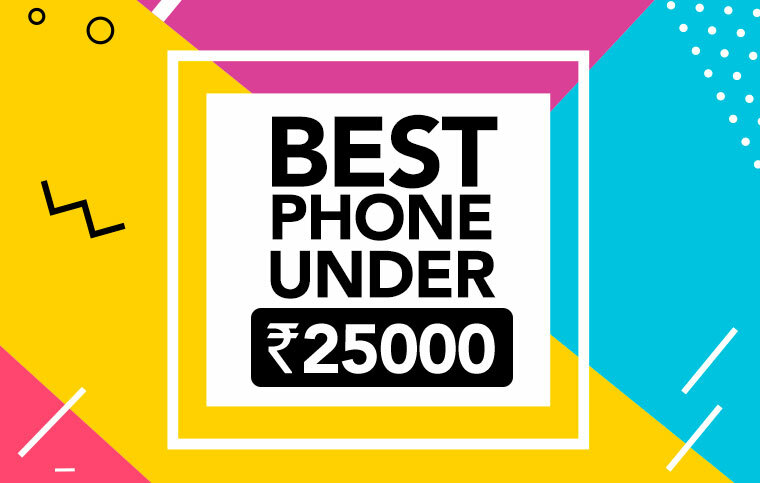 Why does it belong to in the best phone under 25000 list? : Cuz it has a dual rear camera with AI and AR-enabled features. And a selfie camera with high-resolution lens and face beauty modes. What are the significant features on Honor 8 Pro? : The screen on this one may not come with an 18:9 aspect ratio, but it sure comes with a 2K resolution, which is only in its class. It has got everything one would require on their flagship phone. From powerful processor to 6GB RAM for heavy multitasking, from 128GB storage to 4000 mAh battery to last during a heavy game session. Why does it belong to in the best phone under 25000 list? : Honor started offering dual rear cameras when it wasn’t even a thing. There are a fast charging and NFC, they both come in handy. What are the significant features on Huawei P20 Lite? : Huawei, the owner of sub-brand Honor, has a lot of things in pockets. There is a reason they’re called a pioneer in photography. There latest Huawei P20 Lite is something one would like to get their hands-on. Running on customized Android 8.0 Oreo OS, it promises a smooth and seamless multitasking operation. On top of that the dual Bluetooth transmission, split mode, and Wi-Fi Direct features come in handy. Why does it belong to in the best phone under 25000 list? : A 24MP selfie camera promises the low-light selfie experience unlike any other smartphones in this category. Hope you’ve liked our no BS guide to best phone under 25000. These are the top five smartphones currently anyone looking to spend up to Rs 25,000 should know about in 2018. We will be keeping this list updated as the new launches arrive in India. Drop us a line or two with your feedback on this list. If you think we missed a good smartphone, share it with the reason why it should have been featured here. And we will get back to you ASAP. Next article OPPO Realme 1 - Could this be the Redmi 5A killer?